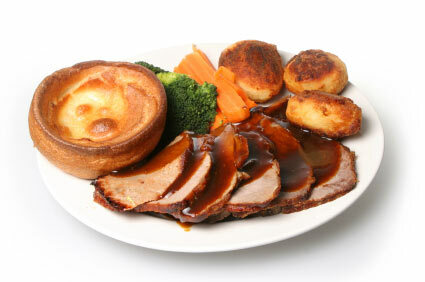 There are few meals as quintessentially British as the Sunday Roast. 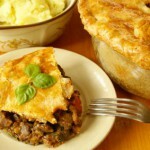 Even if you don’t bother with other British classics like steak and kidney pie, or Cornish pasties there is hardly anyone (except vegetarians of course) who doesn’t enjoy some variation of the good old Sunday lunch. It could be roast beef with Yorkshire pudding, or roast lamb with mint sauce, roast chicken with stuffing or roast pork with crackling and apple sauce, but whichever meat you choose there should be some wonderful crisp roast potatoes to eat with the gravy or pan juices. The British tradition of roast meats goes back a long way. A French visitor to England in the 18th century marvelled at the flavour and succulence of the roast beef he tasted there. He put it down to the excellent pastures and the skill of the cooks, though added rather snidely that it wasn’t surprising that they excelled at roasts as they hardly ever ate anything else! Very few families had their own ovens until the mid nineteenth century, and bread dough used to be carried to the village or town bakery to be baked. Meat could also be roasted there for a small fee and families would often cook their one joint of the week at the bakery on a Sunday, making the leftovers last through the week and adding the last of the bone and scraps to their soups. This is probably where the tradition began of eating a roast on Sunday. Mastering the cooking of a Sunday roast at home takes time and experience. There are so many elements all with their own different timings. The potatoes must be cooked in a hot oven to be crisp and crunchy, and not be kept waiting lest they go soggy; the meat needs to be cooked and then given 20 minutes or so to rest before carving. Vegetables need to be steamed at the last minute so that they don’t go limp and dull. The gravy also has to be made at the last minute, once the meat is cooked, using the meat juices with the fat poured off. It’s not surprising that many people choose to go out to a pub or restaurant for their Sunday roast. 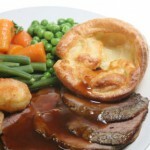 There is hardly a pub that serves food that won’t serve a roast on a Sunday, and most British restaurants will offer a special Sunday menu featuring a roast. 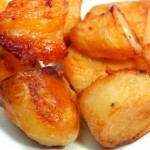 But just as there is an art to cooking a roast at home, there are several obstacles to a successful roast when catering en masse – roast potatoes don’t like to be kept hanging around, and very often you’ll find either leathery or soft and oily offerings that give the roast potato a bad name. The meat must be of good quality to remain tender and succulent during roasting and in the case of beef and lamb should not be overdone. 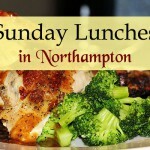 If you are fortunate to find a good restaurant or pub that serves a wonderful Sunday roast then treasure it. If not, keep looking because they are out there – it is just that they tend to be a best kept secret as their regulars don’t want to risk the stampede when everyone else finds out about it! Ugh, blurh, argh! I HATE Sunday Roasts with a passion. I hardly ever eat them when I’m served with one. I am British born.